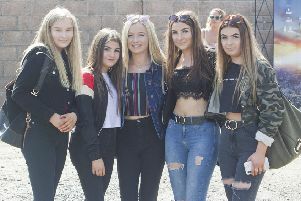 Community leaders are demanding action after boy racers forced visiting camper vanners to leave the Common Haugh and to cut short their Hawick holiday. The latest incident took place last Wednesday and local Welcome Host leader Jack Yallop says he’s concerned that “word of mouth” will result in fewer visitors using the allocated camper van spaces. Speaking to the Hawick News this week, Mr Yallop said: “We are still getting complaints from visitors with camper vans about speed, noise and late-night antics from the boy racers. am surprised no one was killed. Also concerned is ward councillor Stuart Marshall who told us: “It was disappointing to learn last week end that this problem has once again arisen and this week I have brought it to the attention of the police and I have no doubt that they, in turn, will be paying particular attention to this kind of behaviour.